Get a “leg up” on decoration with a little help from your favorite characters! 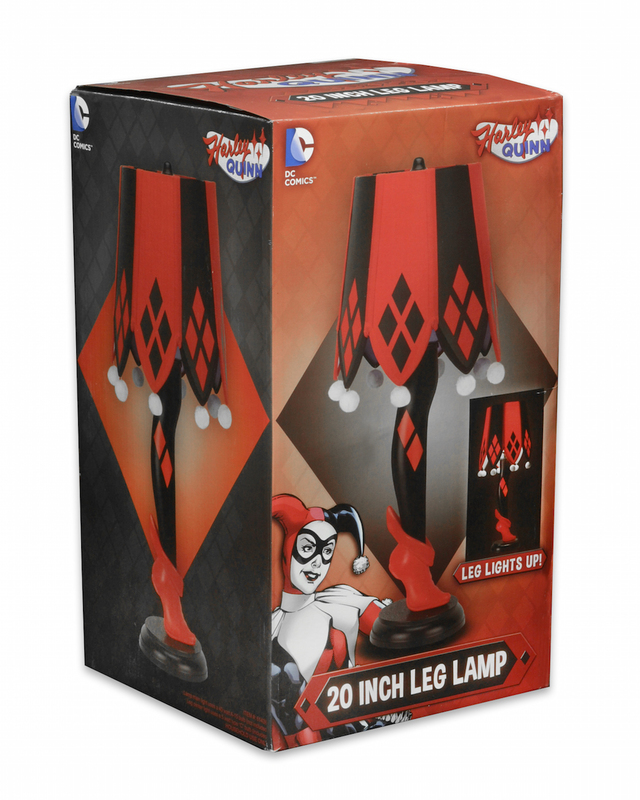 This fun leg lamp is styled like Harley Quinn – perfect for any fan of the classic DC Comics character. 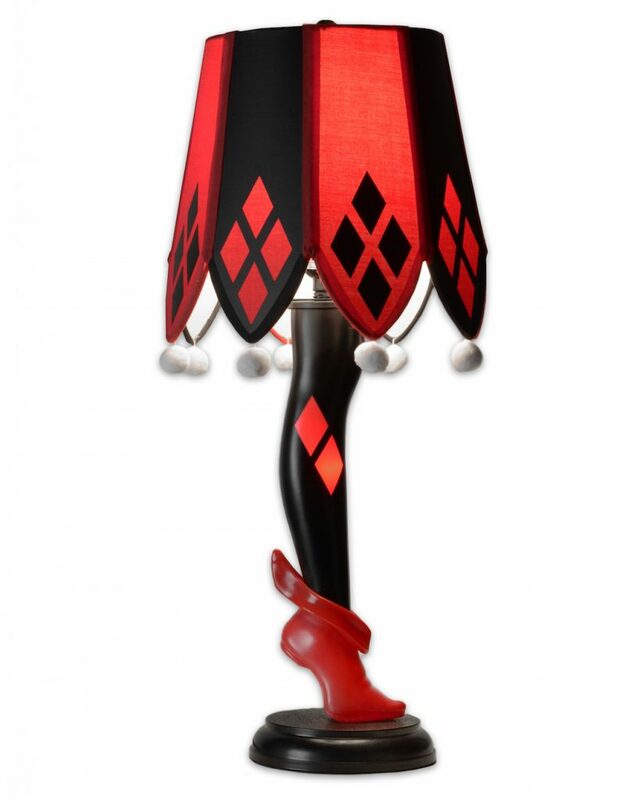 Both the leg and the lamp light up, adding a glow to any room. 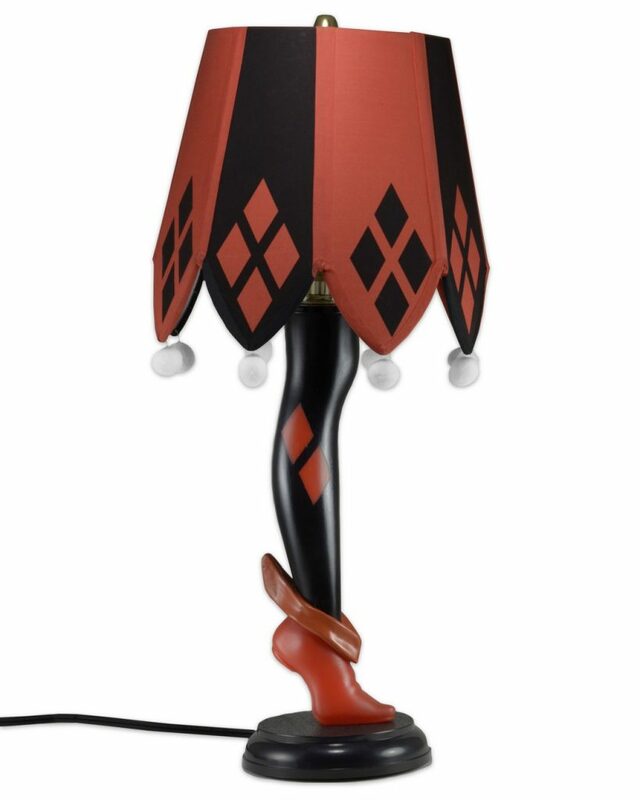 Including the full-size shade, the lamp is approximately 20″ high x 19″ wide and has a 5-foot cord. Main light uses one 40-watt bulb (not included) and leg light uses one 5-watt type C bulb (included).